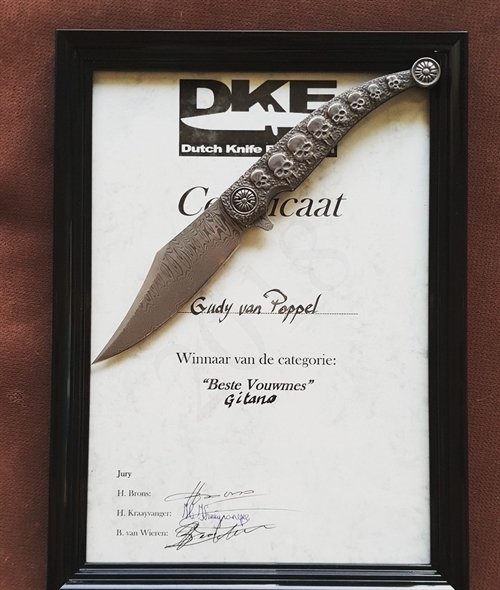 Gudy van Poppel is a fulltime Dutch Bladesmith well known for his work in both Europe and the United States. He started as a genuine Blacksmith and has been making blades for several decades now. He learned to forge his own damascus steel mid 90's. 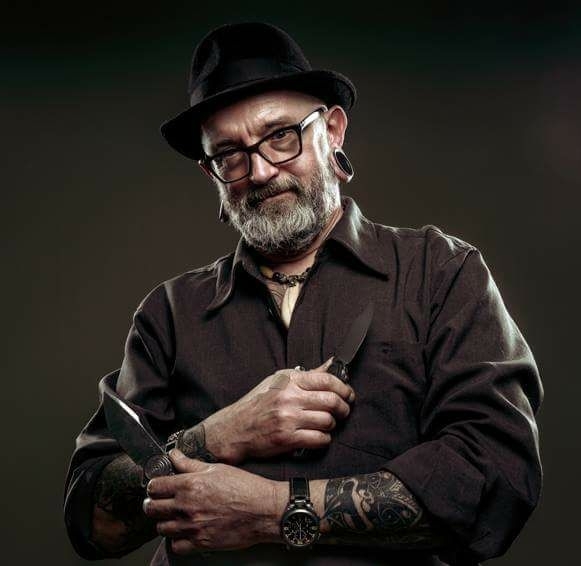 He has been attending shows and exhibitions with his handmade/custom knives since 1997. He started with making/ hand forging mainly fixed blades and later on, swords. 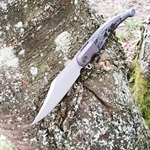 Becoming known within the inner circle of the knife community, also the demand for folding knives in his particular style began to grow. 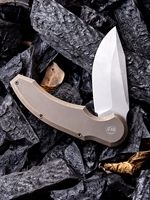 So ever since he started he build a broad repertoire of all kinds of blades. What most of these have in common is that they're mostly made with damascus steel forged by himself. (Gudy makes all parts of his knives, including screws, washers and timascus for example.) He is well known for delivering high quality and has a steady growing group of customers/followers, both collectors and users, in Europe and the United States of America. Lately third parties, as manufacturers, have discovered his designs and several collaborations are established. His blades are often finished with natural materials as mammoth ivory, walrus ivory, exotic hardwoods, antler and bones of all sort. 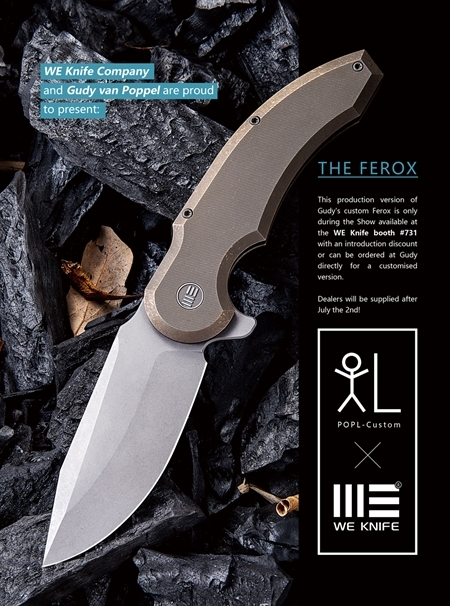 This way Gudy van Poppel is able to handcraft modern knives with a classic touch or design. The fit & finish of his blades is of the highest standards available. His craftsmanship is undisputed and his reputation in the inside knife community and among colleagues is increasing rather fast! This website is under construction....soon you will be redirected to the new website!